Reservations are accepted for parties of four or more by calling the pub at (619) 299-0230 extension 5. Reservations are not available for televised soccer events or our monthly quiz nights. Parties that are fifteen minutes late for their reservation with no contact will be considered void, if you are running late please call and we will make every effort to accommodate your party as promptly as possible. The Shakespeare Pub & Grille is proud to offer you a very unique venue, whether it's family get together, birthday celebration, or a monthly meeting of your local club of interest the Shakespeare is only to happy to help. 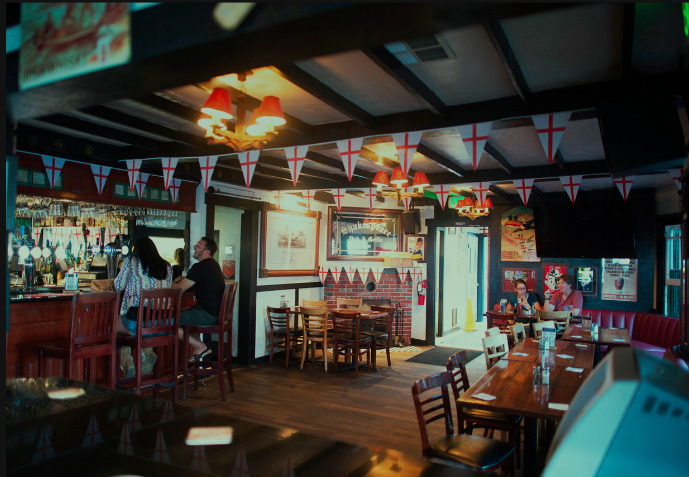 We can accommodate parties large or small, either outside on our heated patio overlooking San Diego's beautiful skyline, or inside our authentic British Pub. Just give us a bell and we will be happy to assist you in arranging your special occasion. Whatever you need the staff & management look forward to providing the very best in great British hospitality.